The Likud hit back at former Prime Minister Ehud Barak, after he said that Prime Minister Netanyahu is "personally and systematically corrupt," and accused him of "whining" at a support rally held last night for the embattled premier. "It is funny that Ehud Barak, who was under investigation in the case of the non-profit organizations that illegally raised millions for him, speaks of corruption. If Herzog had not invoked his right to remain silent during his interrogation, Barak might gone to jail." the Likud said in a statement Thursday. The statement was referring to a police investigation launched after Barak won the 1999 elections. Police had suspected that then-campaign chief and current opposition head Isaac 'Buji' Herzog operated a massive scam, and had established fictitious non-profit organization to finance the 1999 campaign. Police shut down the probe in 2003, citing lack of evidence, and in 2006 the State Attorney's Office announced that the investigation had been closed without indictments. Barak had mocked Wednesday's rally supporting Netanyahu, in which the Prime Minister called him “an old man with a new beard, who was once prime minister for a short time, and a total failure." “The suspect from Balfour continues to whine. There is no persecution, there is only corruption. There is no leadership, there is panic,” Barak tweeted. Barak's remarks were part of an escalating war of words between him and Netanyahu. 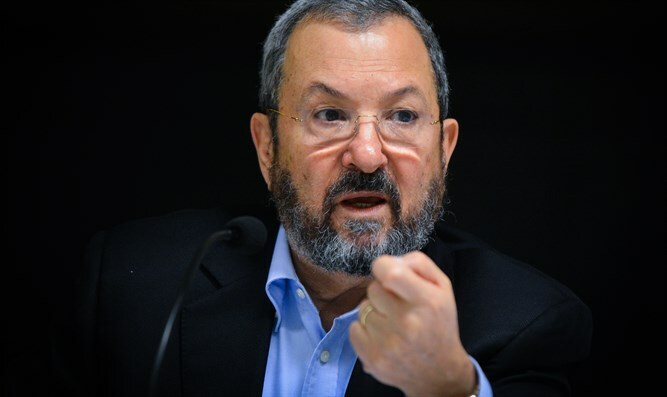 Barak, who had served as Netanyahu's Defense Minister until 2013, has since turned on his onetime ally, calling him 'fascist' and comparing him to a mafia boss in July.